Do you know it is important to clean up pc? The reason why you need to clean PC is because then you will be able to find the files easily instead of searching through folders or scanning the long list of items. Also when you delete the unwanted folders, files and programs then your PC operates with more speed. There various solutions available these days to clean up or free the disc space. 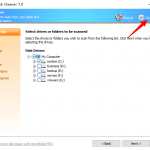 Cleaning your pc can be a tough task and may take time but if you follow some tips given below then you can make this task easier and complete this task within a day. Clean the desktop– your window desktop indicates the condition of your overall PC organization. If your desktop is filled with files as well as folders then first remove that and then move on to next step. It is important that you first remove the old files, programs, and documents that you don’t use anymore. Another thing you need to do is empty the recycle bin, this will help you free up the hard drive space on your computer. 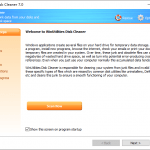 Clear unnecessary and old files– to remove unnecessary files from your PC first you need to determine files that are important. Some of the worth saving files include the tax documents as well as financial statements. You can make the separate file for it and then mark them by year. Files with personal or sentimental value– picture of your birthday party, New Year or from any other event that you have saved on your PC must be labeled clearly so that you do not delete it accidentally. When you don’t label the drafts or files where you saved the picture then while cleaning your PC you end up losing or deleting the files accidentally. Also, make sure few copies of the important pictures must be backed up to the secure location. 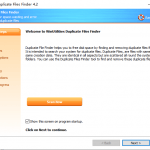 Determine the dispensable files– for doing this first you need to check the dates. For each file check the dates when each file was modified last if you find a file that had not been modified since last one year then either you update that file or discard them. Also, if you find the unfinished projects on your hard drive then you need to decide it whether or not you need them? If you need them for reference then keep it and if you find them useless then delete them. Ephemera include the email forwarded to you by your friends or the fliers of the events that were long sent you. If these possess sentimental value for you then you can keep it but if you don’t find them valuable then it is good to delete them. Back up as well as save the important document– if there is some document in your PC that you need to keep but you don’t require it to be in your home computer then back them up to the external drive or else save them in online storage source. In external hard drives, you can store the collection of music, gallery images, video, etc. If these types of material are in a huge amount in your computer then it better to free up the space of hard drive so, that you can star new projects on your PC. Secure online backup sources to be used– back up the important document online, you can email it to yourself or use an automated backup program online. If you follow this step then your important files won’t disappear even if the PC gets crashed or damaged. De-clutter the email inbox– your email is the place that can accumulate the number of clutter within the short period. Decluttering helps you to clean out the junk emails, listserv posts, interoffice memos, etc. If you organize the folders and files now, then you will save time as well as have no headache searching the files later. To organize your mail inbox delete the old emails which had large attachments. By cleaning up your inbox you can create space in email program as well as the hard drive. Clear up the internet files– if you organize the internet programs and clean them then this will help you access and fin the sites more quickly as well as easily. Clearing out browser ache also ensures that your browser runs securely and efficiently. 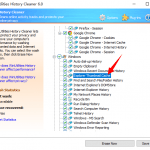 Clean up the bookmarked sites that you don’t visit any more and keep only those sites bookmarked which are in your use. If multiple users use your PC then maintaining internet privacy is necessary and thus, for doing this you need to clean the browser history on regular basis and also delete the saved passwords. Delete redundant programs– by removing the redundant programs you can free up the hard drive space as well as keep your PC organized as well as streamlined. Also, it helps in preventing crashes as well as freezes. All the tips given above will surely help you organize as well as clean up PC. Cleaning up your PC, therefore, helps you to get rid of various problems. Thus, clean your PC on regular basis using the tips given in these articles. If you don’t follow the tips and don’t clean up your computer then you will end up wasting lots of hours searching single file. Also, your computer will slow down and thus, you will be unable to perform any task. If you think that cleaning up PC is the very difficult task and you need some help to reduce this task then it is better to use tools available online to clean up the computer. 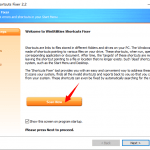 These tools are very easy to use and speed up your PC. Also, you can find a tutorial online to clean up the computer in few easy steps. All you need to do is search online about various tools or tutorials to clean up PC in simple and easy steps. Hurry up and start cleaning your PC today to get rid of any a headache in the future. ⟵How to fix Runtime Broker high CPU/RAM load issue?